Welcome to proudOFFER, our advantage program. Find interesting offers from our partners in the United Kingdom. If you would like to submit a special offer to our visitors, please contact us. Emerald Life, the award-winning insurance provider, closes the gap between real people and insurance. We provide insurance that reflects the diversity of today without charging extra for it. Emerald Life has partnered up with proudout.com to offer you a 5% discount* off all of your Emerald Life insurance purchases. Whether you are looking for Home, Travel, Wedding or Pet cover, check us out and see what’s on offer. Simply use the code Proud5 on the Emerald website. 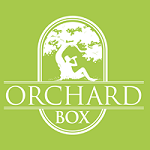 Orchard Box is a craft cider subscription club, offering the best real ciders from around the world every month. All natural with no concentrates, artificial flavouring or ingredients. Charmed Floristree offers all visitors from proudout.com a special offer. 12 X RAINBOW ROSES MIXED WITH GREENERY AND COMES AQUAPACKED IN A BOX. FOR PROUDOUT.COM VISITORS ONLY £28.50 INSTEAD OF £35.